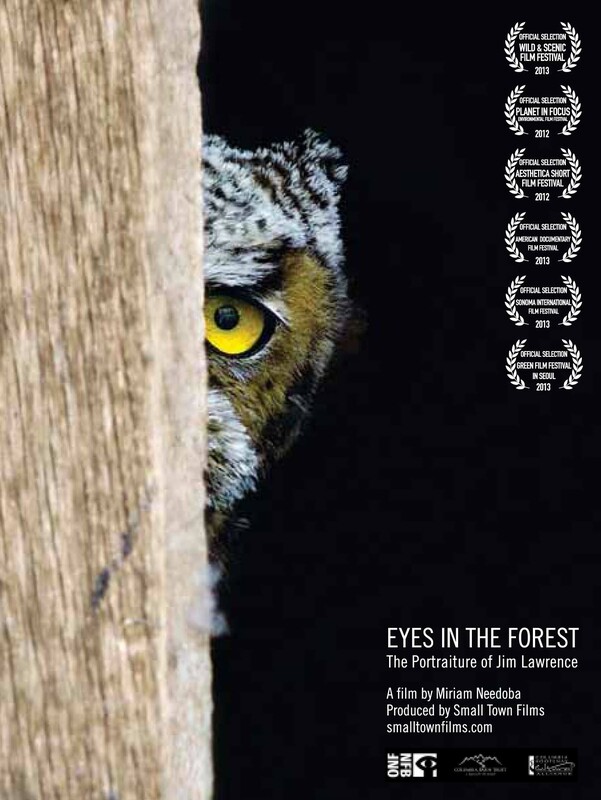 Synopsis: Follow experimental filmmaker Miriam Needoba in this rare view of British Columbia’s remote Selkirk Mountains as seen through the eyes of wildlife photographer Jim Lawrence. Interweaving the startling imagery of Lawrence’s still photography with Needoba’s sublime cinematography, Eyes in the Forest: The Portraiture of Jim Lawrence is both a restrained study of landscape and wildlife, and a conversation between two artists and their art forms. 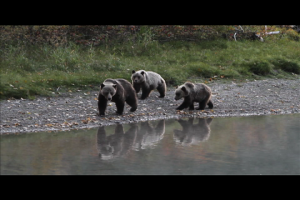 Lawrence is as much a part of the landscape as the grizzly bears, eagles, caribou and squirrels he captures on film. Combining the engaging soundscapes of the environment with Lawrence’s gentle narration, this short documentary transports the audience deep into this wild and beautiful world. 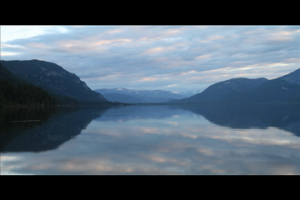 This film was produced with the support of the National Film Board of Canada’s Filmmaker Assistance Program and Columbia Kootenay Cultural Alliance, Columbia Basin Trust. Jan 2014, Knowledge Network in British Columbia have acquired the film for broadcast over the next five years. Small Town Film’s latest production Eyes in the Forest: The Portraiture of Jim Lawrence premiered in Toronto at the Planet In Focus Environmental Film Festival on Sunday, October 14 at 4:00 PM at the TIFF Bell Lightbox. The film’s director, Miriam Needoba, was in attendance for the screening, and was also able attend the Creative Documentary workshop put on by the festival with award winning filmmaker Jennifer Baichwal, who’s film Manufactured Landscapes about Canadian photographer Edward Burtynsky was very influential in the research for this film. Many thanks to the Canada Council for the Arts for supporting Needoba’s attendance at these events.